"Colette, we were so sorry to hear of Jeff's passing. We..."
"I worked with Jeff for many years. He taught me a lot about..."
Jeff attended Harvard College majoring in mathematics, 1955- 1959; studied printmaking at the Chicago Art Institute, 1959; earned a BA in mathematics and studio art from the University of North Dakota, 1961; and did graduate work in mathematics and statistics at the University of Kansas, 1965 – 1970. He was a computer programmer, consultant, supervisor, specialist, and statistician for the Academic Computing Services of the University of Kansas from 1965 to 2000 when he retired. His fields of major interest were computer graphics, computer art, micro computing, quality programming, data analysis, and applications in the behavioral sciences. He co-authored books and articles. He served the University of Kansas faculty and staff in education as well as the behavioral, social and political sciences. He showed people how to use the computer to help other people. He and his artist wife Colette Stuebe Bangert married in 1959. They were early pioneers collaborating in creating algorithmic computer art earning an international reputation. Their drawings and digital prints were a result of Jeff's written software. The software and collaboration provided feedback furthering Colette's hand work even as her hand work fed their collaborative digital drawings and prints. He lectured extensively on computer art and their art was seen and also exhibited throughout the world. Their computer art has been collected in depth by the Spencer Museum of Art, University of Kansas in Lawrence; the Block Art Museum, Northwestern University, Evanston, Illinois; and the Victoria and Albert Museum in London, England. Since the mid 1990's Jeff developed many web sites featuring his and Colette's ideas and work. 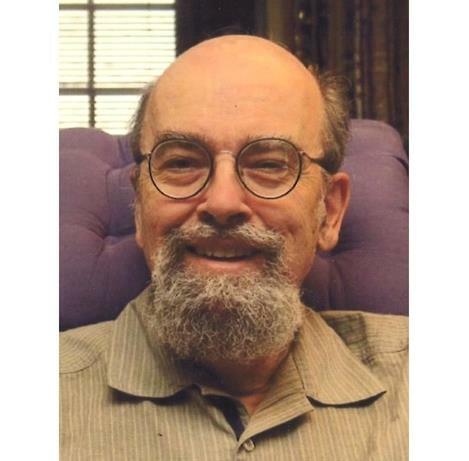 He was a member of the Association of Computing Machinery, the Spencer Museum of Art in Lawrence, and Trinity Episcopal Church in Lawrence where he taught an adult Bible Study in Depth class every Sunday morning for 26 years and for many years sang in the Trinity Choir. He is survived by Colette Stuebe Bangert, and many very beloved friends; and cousins Jane Bachler, Jane Dyson, Star Bachler, Rebecca Willis, Charles Schultz, John Schultz, and Richard Schultz. Memorial services for Jeff will be held at 10:00 a.m. Saturday, February 2, 2019 at Trinity Episcopal Church, 1011 Vermont Street, Lawrence, Kansas 66044. Memorials may be sent to Trinity Episcopal Church or Spencer Museum of Art in Lawrence, Kansas and may be sent in care of Warren-McElwain Mortuary, 120 W. 13th Street, Lawrence, Kansas 66044.